What is so important about fellowship? Pastor Waggoner unpacks why it is good to interact with other believers. Why do we give in church and what deeper meaning does it have for us? Why should we be a praying church? 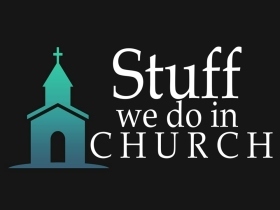 We continue the study of stuff we do in church as Pastor Waggoner discusses preaching-why should we listen and what should we do with what we hear? Pastor Waggoner begins this study with discussing worship in song!